We have been doing commercial relocations for years and have got it down to a science. Our corporate clients know that they get the very best in moving services, from scheduled planning to flawless execution. Any move across towns, across countries and even across oceans, our clients know they will enjoy the very best in efficiency and professionalism. The percentage of people moving to Miami in recent years has been rising. Many factors influence this such as a suitable climate, lower prices for real estate, diversity of culture, beautiful long beaches, etc. However, the increasing of startups and growing opportunities for establishing business have also contributed to a large number of those seeking for the services of commercial moving companies Miami. For people like these, the help of Miami movers is highly necessary. We are a team of professionals who have been offering the best moving services in South Florida. We provide a wide range of services, starting with local, long distance and interstate moving. Our specialty is also commercial and residential relocation. We are dedicated to ensuring such a service that each and every of our customer has the most positive experience. After all, our numerous testimonials serve to prove the point. Your satisfaction speaks about our quality. With the rise in the number of commercial movers Miami, we constantly aim towards improvement. Why us before all other moving companies Miami? Every aspect of moving is complicated in its own way. People who lack experience cannot expect to conduct such a task without any guidelines. This is where Orange movers take from. With years of experience behind the trained men, you can rest absolutely sure that your relocation will be handled in the best possible way. Only the reliable commercial moving companies Miami are the ones you should sign a contract with. For every challenge upon us, we are ready to face it. Certain of our capabilities as serious Miami Movers who are up to each task. With us, by your side, your personal information is safe no matter if they’re being provided directly or via the website. As one of the best commercial companies Miami, we will use that information strictly for purposes of relocation and only with your permission. One of the preconditions of a successful commercial moving is hiring a company you can trust. Since relocation includes an incredibly large amount of work, it is not easy to handle all of those in an efficient way. At least not entirely on your own. Therefore, commercial movers Miami provide you with everything you’ll ever need. Pay attention if a company you consider hiring is a company which possesses all documentation and valuable licenses. Only then you can make sure that your office will be moved the way you planned. 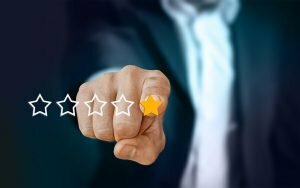 One of the most trustworthy methods to check the reliability of a certain moving company is to refer to the reviews their previous customers have left. Our customers can always publically read the testimonials. We proudly stand behind our endeavors; and by reading the reviews, one can determine that we are among the top commercial moving companies Miami. Moreover, take some time, and read them through. This allows you to create a wider picture of what you can expect if you decide to hire this company. Pay attention to the details in people’s reviews that concern you the most. The feedback for commercial moving companies Miami gives you certainty in their capabilities. If you stumble upon a large number of negative comments, then you should know this company is not for you. Such companies will only cause you worries and stress. The aim of hiring a moving company Miami is to get moving services for a stressless move. Even if you need to move your office to a long distance location, or you require the services of interstate movers Florida, call our company and avoid piling up of the stress. We understand all of our customers’ needs. Please note that we are up to every challenge. 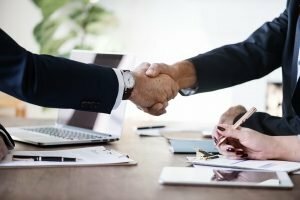 You will receive only professionalism and efficiency as well as all the help to plan and conduct the corporate move you are about to undertake. Since every office move is unique, our company will make sure to adjust everything according to your needs. By now you may have realized that not an easy job is upon. However, with Orange Movers Miami by your side, you’re on a good track to handle all in a good way. Most often, this is a type of a move that needs more planning than residential. And while everything is being prepared, the job cannot suffer. What is more, you’re directly responsible for your colleagues as well. Therefore, our company will take care of everything so that you can concentrate on running the business. You just make sure to notify timely your colleagues and allow them to make preparations of their own. The transition to a new office will be one of the biggest challenges. And as we said, the staff will assist you to handle it, too. It is also important to know how to deal with stress. The anxiety will get you nowhere. It can actually cause a negative effect. While in the middle of planning and executing the commercial move, it might be possible to find yourself surrounded by a huge pile of old documents and office furniture. In case these are getting on your way, our company also provides the services of renting storage Miami. Here, you can put everything you find unnecessary during this period. Commercial movers can help you find an appropriate one based on the quantity of stuff you want to put away. It is also important the time you’re planning to leave them stored. To sum it all up, Orange Movers are among the top commercial moving companies Miami. Our company offers a wide range of quality services at affordable prices. And our team of professionals is there to enable you with the best possible commercial experience. To add more expect nothing less than high professionalism and efficiency. Moving an office can keep you and your employees from their work. We will perform your move during your off hours and we will quickly and efficiently relocate your office including all components, from files to furniture. We will have your new office running with minimum disruption to work time. Our goal is 100% satisfaction and to save you as much downtime as we can. Laboratories need extra gentle handling especially with all the breakable components. With our specially trained staff and temperature controlled trucks, we will plan and execute this delicate move and take care of all your equipment as if it were our own. We have specialized packing materials and padded crates to ensure nothing gets broken or damaged along the way. 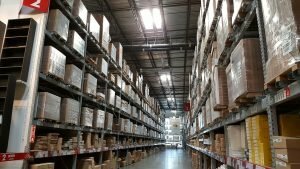 A job as huge as relocating an entire warehouse should only be done by the best. We use all the latest equipment to ensure an easy and organized relocation of all your merchandise. We will make sure that all your stock is packed and then reassembled the way you want it to be on the new premises. We will keep your downtime to a minimum. Our Goal: organization and efficiency. We know that your equipment is the most important thing for you. This is especially close to our hearts because our equipment is our lifeblood. Our professional staff will handle all your equipment from small machinery and to automated product lines with expertise. There is a reason why we are one of the most trusted and prestigious companies when it comes to factory relocation. All our employees go through specialized training and work with state of the art equipment and top notch techniques to make sure that your business is back on its feet in minimum time. We run our business in a clean, swift, and affordable manner and we think you deserve this as well. When done properly, relocation can be easily managed and have almost no effect on your business. However if not properly planned and executed it can be disastrous. We believe that proper planning is essential and our moving experts will help you with this. We want your computers, phones and files, accessible to you from day one after the relocation. We deliver a complete service. We work 24/7 and can move you in the off hours of the office. From packing the first computer to mounting the last memoboard, we do it all. Recycled bags for packaging all computer wires, keyboards, etc. Are you moving or reorganizing offices within your facility? We can help you move any size office from the smallest to the largest. Your business relocation is coming together and you need to know how much to allocate for the move. With our moving calculator you can get a cost estimate within a few minutes by just filling in your schedules and needs.